I was chatting with a mom the other day. It started out as regular chit chat. How are your kids? Did you have a fun Halloween? Isn’t the weather mild? That sort of thing. But then, as small talk sometimes does, it abruptly turned a corner into something real. And I found myself talking about my worries about my children. About my daughter who suddenly won’t sleep unless all the lights are on, who gets nervous when I leave the room. Is this normal? Is it a phase? Should I wait and see what happens? Is there a parenting book that addresses this? What would you do? I had no idea what she would say. In fact, I had no idea how we even got to this place. She is not a mom I talk with often, not someone I commiserate with. Her kids are older than mine, but I’ve never looked to her for guidance. I waited for her response, her advice, her reassurance. In less than a minute, she saw my anxiety, my tendency to hyperfocus on a behavior, to turn it into a problem, then try to control it. This anxiety and desire to control is like my security blanket. Well, not like a security blanket, because I never feel warm and cozy with these wrapped around me. More like a cane really. 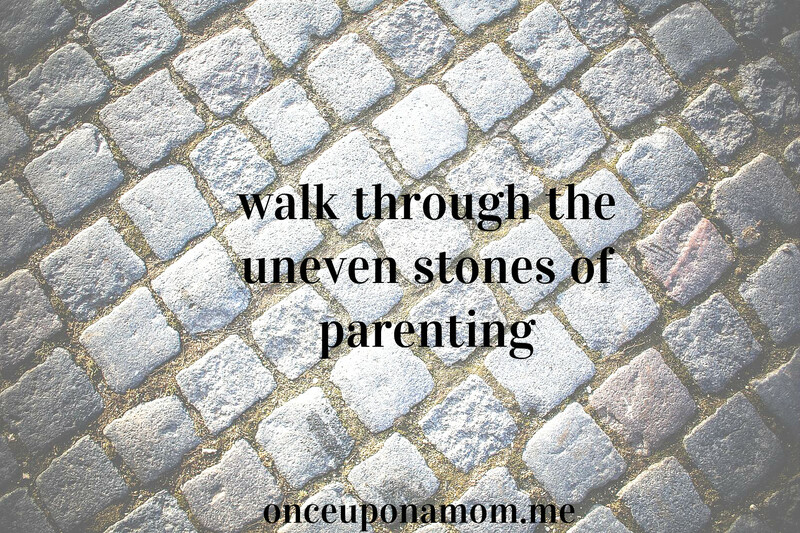 Something to grip until my knuckles turn white, something that holds me up, that helps me walk through the uneven stones of parenting. In three sentences, she ripped the cane out of my hand and I felt myself fall to the ground. Into a pile of uncertainty. “How do you know they’ll be fine,” I asked, looking up at her, shielding my eyes. The light of what she was saying was too much for me to take in all at once. And I knew in that moment she was right. It seemed so easy. Too easy. But I knew she was right. I can’t control my daughter’s need to be in the room with me at all times. That’s her need. Her feeling. Her fear. But I can stop myself from making it into more than it is. From obsessing about it. From showering her with my anxiety. I have no idea what is going to happen to my kids over the years. I can’t control how they will perform in school or sports, what fears they’ll have, how other people will treat them. I can’t stop them from experiencing pain, from suffering. But I can love them. And I can tell them. And I can trust that they will be fine. I need to remember this… So right!! !